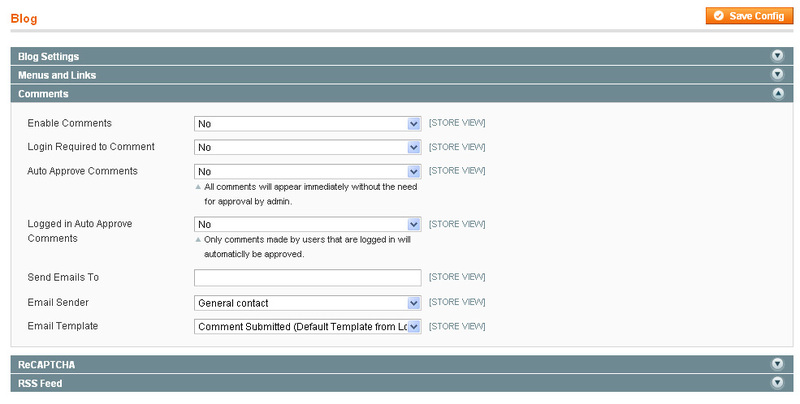 Did you ever though that would be nice to have a blog in a Magento store? The truth is you can have it. It's very simple. 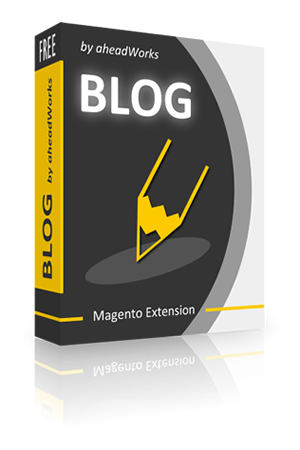 Once you upload the files to your magento installation (FTP) you'll see a new tab called Blog. 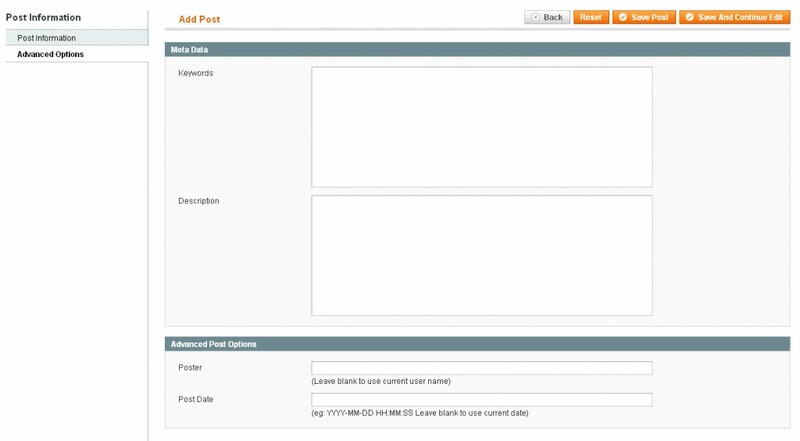 It is a full featured post and comment blog. 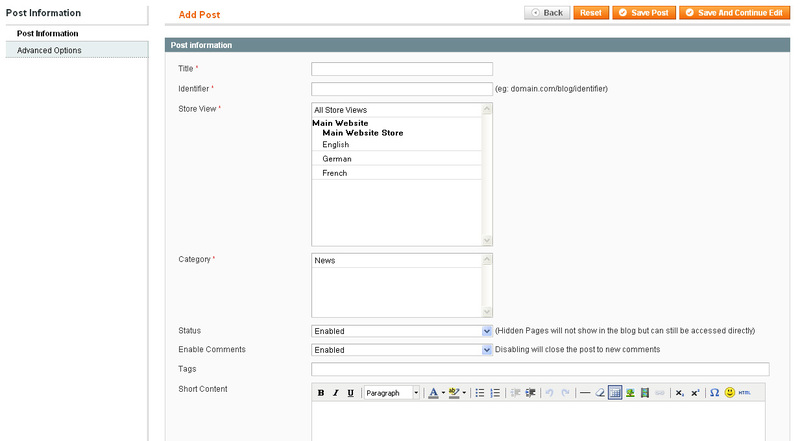 You can add links to Blog into your theme right from your admin panel. It has many options within the comments administration (aproved comments, loguin required...). 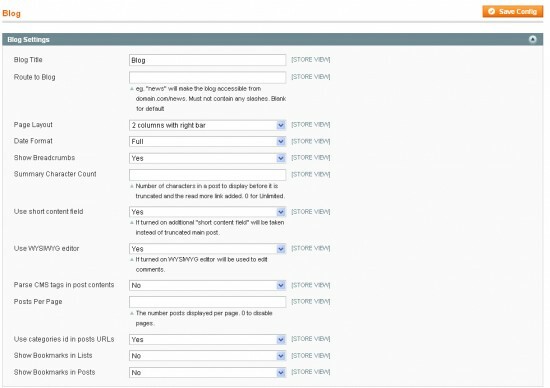 Concluding I'll say it's not a super-powerfull blog system but it solve the problem if you need a Blog running with a Magento install. Hard to say without information. Do you see the options in your admin panel? The time I installed the extension everything was ok, no problems or blank pages. Since I’m not the extension developer I can’t help you that much. s i got th link in the front end…but whn i am clickin the link…in the blog page nothing is displaying……. Hi! 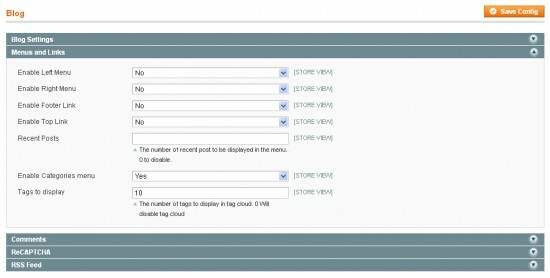 I have one store on Magento, but I’m planning to create 2 or more stores for different countries. But I’m not imagine how to manage all my future stores at the same time. Any suggestions? 4.787.613 post views so far. This page needed 46 queries to load.